My research lab uses rodents as a model system for investigating human memory impairment and, specifically, how different brain regions are involved in the formation and retrieval of memory. We utilize various techniques for better understanding memory functions, including stereotaxic neurosurgery, behavioral testing, and histological analysis of brain tissue. Hales JB, Ocampo AC, Broadbent NJ, Clark RE. 2016. Consolidation of spatial memory in the rat: Findings using zeta-inhibitory peptide. Neurobiology of Learning and Memory, 136:220-227. Schlesiger MI, Cannova CC, Boublil BL, Hales JB, Mankin EA, Brandon MP, Leutgeb JK, Leibold C, Leutgeb S. 2015. The medial entorhinal cortex is necessary for the temporal organization of hippocampal neuronal activity. Nature Neuroscience, 18(8):1123-1132. Hales JB, Ocampo AC, Broadbent NJ, Clark RE. 2015. Hippocampal infusion of zeta inhibitory peptide impairs recent, but not remote, recognition memory in rats. Neural Plasticity, Article ID 847136, vol. 2015. Hales JB, Broadbent NJ, Velu PD, Squire RL, Clark RE. 2015. Hippocampus, perirhinal cortex, and complex visual discrimination in rats and humans. Learning and Memory, 22(2):83-91. Hales JB, Clark RE. 2015. Organization and structure of brain systems supporting memory. In Bimonte-Nelson HA (Ed. 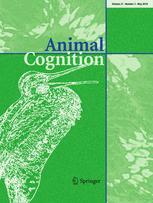 ), The Maze Book: Theories, Practice, and Protocols for Testing Rodent Cognition (pp. 143-164). New York, NY: Humana Press. Hales JB, Schlesiger MI, Leutgeb JL, Squire LR, Leutgeb S, Clark RE. 2014. Medial entorhinal cortex lesions only partially disrupt hippocampal place cells and hippocampus-dependent place memory. Cell Reports, 9:893-901. Clark RE, Hales JB, Zola SM, Thompson RF. 2013. Biological Psychology. In Freedheim DK, Weiner IB (Eds. ), Handbook of Psychology, Volume 1 History of Psychology, 2nd edition (pp. 55-78). Hoboken, NJ: John Wiley & Sons, Inc.
Hales JB, Brewer JB. 2013. Parietal and frontal contributions to episodic encoding of location. Behavioural Brain Research, 243:16-20. Hales JB, Brewer JB. 2012. The path to memory is guided by strategy: distinct networks are engaged in associative encoding under visual and verbal strategy and influence memory performance in healthy and impaired individuals. Journal of Cognitive Neuroscience, 24(6):1398-1410. Reas ET, Gimbel SI, Hales JB, Brewer JB. 2011. Search-related suppression of hippocampus and default network activity during associative memory retrieval. Frontiers in Human Neuroscience, 5(112):1-13. Hales JB, Brewer JB. 2011. The timing of associative memory formation: Frontal lobe and anterior medial temporal lobe activity at associative binding predicts memory. Journal of Neurophysiology, 105(4):1454-1463. Hales JB, Brewer JB. 2010. Activity in the hippocampus and neocortical working memory regions predicts successful associative memory for temporally-discontiguous events. Neuropsychologia, 48(11):3351-3359. Hales JB, Israel SL, Swann NC, Brewer JB. 2009. Dissociation of frontal and medial temporal lobe activity in maintenance and binding of sequentially presented paired associates. Journal of Cognitive Neuroscience, 21(7):1244-1254. Ramus SJ, Davis JB, Donahue RJ, Discenza CB, Waite AA. 2007. Interactions between the orbitofrontal cortex and the hippocampal memory system during the storage of long-term memory. Annals of the New York Academy of Sciences. 1121: 216-231.